Todays post is a MUA magnetic nail varnish review, a fantastic product that I recently purchased. It is such a gorgeous magnetic nail varnish and the magnet is far stronger than others I’ve tried. The colour online looked more purple but on the colour is a gorgeous silver/dark grey with glitter which I much prefer. 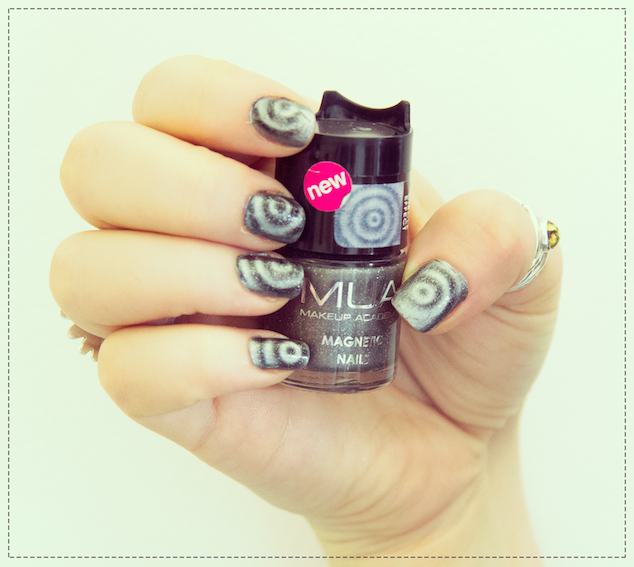 I love the spiral effect this magnet gives and holding the magnet off centre of the nail gives some great looks. Immediately after applying hold the magnet over the nail closely for 30 secs.